Snapdeal makes its strong place among the all giant online shopping platforms like amazon and flipkart in Indian Market. In this online shopping website and mobile application you can find all the latest designed fashion as well as many other items of your needs. After getting mass popularity in Indian market, SnapDeal starts to improve its all the other services like delivery, customer care, helpline unit and other services like this. Here in this article I’m going to write about some brief note about how you can claim money refund for an item you are already paid for but you don’t like that item due to some reasons. It may happen with all of us. When you are planning to buy some product from snapdeal you search out your item and order it but after 1 or 2 days if you can found some other model of the exact same item with extra features then you have to go for it immediately by canceling your previous order. But you already pay for it. It’s all right, you just need to the snapdeal customer care number and inform them about your plan. All the snapdeal officials are very helpful and gentle with their customers, they’ll ask you to provide the serial number of the item you received and tell you about when the snapdeal guy comes to your address to collect the item and if you need your money back then you may be wait for 7 to 10 working days to transfer the amount in your bank account. There is an option called “Track Refund”, you can easily track your money refund process through your mobile pone apps and if you need more information you can call at snapdeal customer care helpline numbers to talk with the officials. If you can cancel your order just before shipment then snapdeal officials will start you refund process immediately but if you are late then it’ll take 6 to 7 days to proceed. Your bank can take more than 7 days to transfer your amount to your account. You’ll get continuous notification from snapdeal officials to confirm you about your refunding process. In “Track Refund” section you can also check all the details you need to see about your money refund process. 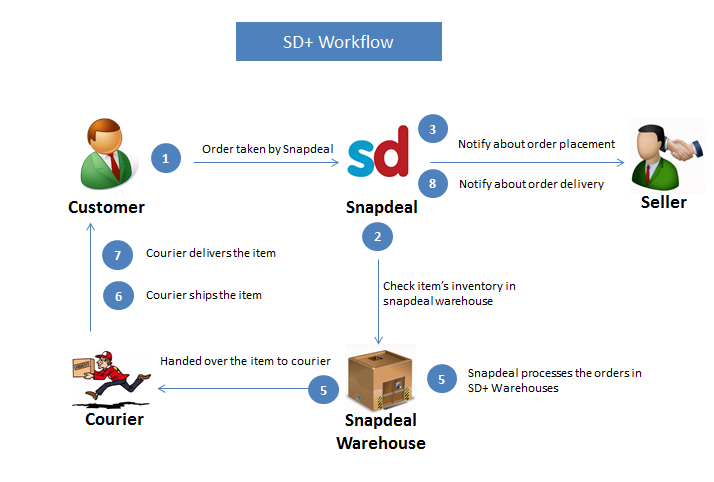 So, hope this article helps you to get information about snapdeal’s money refund process. If you need to know any more update regarding this then you can comment on this post with your valuable questions.